In less than 20 months of operations, the newcomer in the telecom industry has not only shaken up the Indian telecom industry by becoming profitable, but also grown aggressively. 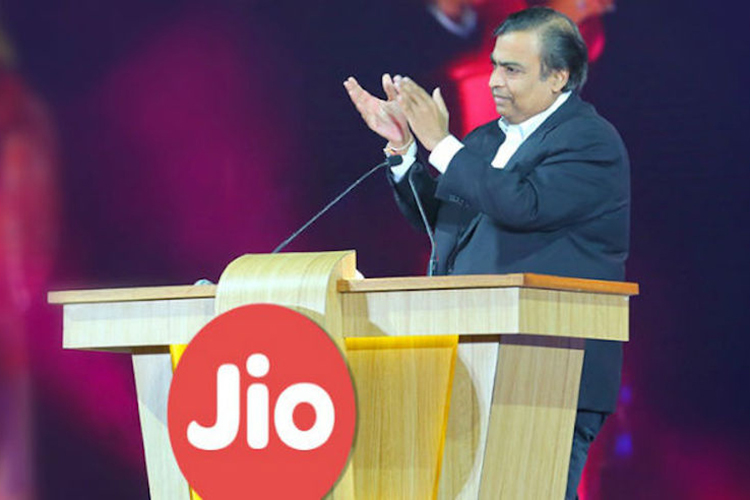 Now, as per a new report by BloombergQuint, Reliance Jio has overtaken Idea Cellular to be the third-largest operator by revenue in India and is pacing towards the second spot. As per the report, Reliance Jio’s market share rose to 19.7 percent in the third quarter of the financial year 2017-18 from 13.9 percent in the previous period. This revenue share was calculated on the basis of the adjusted gross revenue (AGR) which accounts for revenue after interconnection charges and license fees. The data was furnished by Telecom Regulatory Authority of India (TRAI). During the same period, the industry was led by Bharti Airtel which also has the largest share of subscribers. The company’s share of revenue, however, declined slightly in Q3 compared to Q2. Airtel was followed by Vodafone which maintained the second spot as its revenue surged marginally. Although Idea Cellular also witnessed a small increase in revenue, its growth fell flat due to the considerable rise in Jio’s share. Among the companies that lost greatly were Reliance Communications, which sold its business off to Reliance Jio, state-run BSNL, and Tata Teleservices which shut its operations during the quarter.While RComm is still operational as a virtual network, the control of all Tata Teleservices’ assets as well its subscribers have been shifted to Bharti Airtel’s network. Overall, the telecom sector saw a decline of nearly 11% in AGR. The sector might receive some respite from its financial stress as the Department of Telecom is mulling measures to make business easy for the industry. 2018 seems to a promising year for the industry and one of the major developments that might take place is the merger of Vodafone and Idea which is held by some regulatory roadblocks. Once the merger is realized, the consolidated group will become the largest telco in India, pushing Airtel to the second position. It would be interesting, however, to see Airtel being overtaken by Jio.